How about seeing your first vote just like you remember your first love, first date, first bike? With young voters a big part of his poll pitch, the Maharashtra Navnirman Sena's candidate from the Mumbai South-Central constituency, Aditya Shirodkar, has hit upon a rather unique campaign gimmick. He has distributed over one lakh greeting cards to first time voters, welcoming them to the electoral field and urging them to exercise their franchise this summer with a view to "transforming India". The greeting cards bear the title 'Your Future @ Your Fingertip' and have been distributed to approximately 1.25 lakh first-time voters, out of a total of 14 lakh voters in the constituency. The constituency includes the areas Dadar, Mahim, Wadala, Sion, Anushakti Nagar and Chambur. 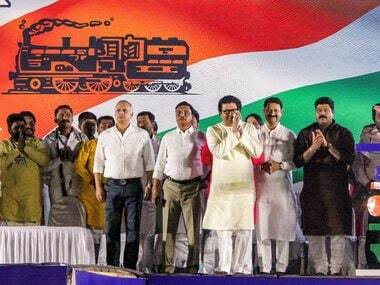 While the MNS is banking on its stronghold of Dadar, it is promising people development across the constituency. "You and I, we both love 'firsts'. Don't we? First interview, first bike, first award, first love-letter, first date.... Many of those 'firsts' became the turning points in life. Another great 'first' is coming your way soon. 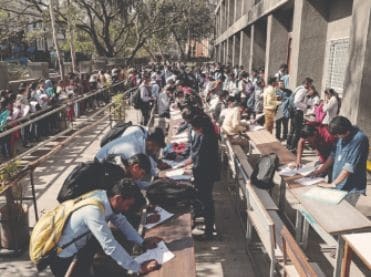 But no other 'first' can march this one - your first opportunity to vote at the 16th Lok Sabha Elections," reads the card signed by Aditya, who heads the student wing of MNS since its inception in 2006. 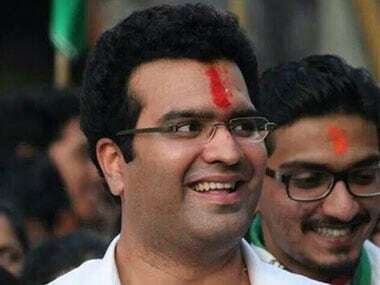 Aditya, 28, is the son of lawyer and MNS founder member Rajan Shirodkar and is probably the youngest candidate in the metropolis. "On 24th of April when Mumbai goes to vote, it will be time to choose between action and inaction. We can continue to criticize or we can change the situation by voting. It is time to repair, rebuild and re-energize the nation with a leadership that is qualified, trustworthy and has vision. Your single vote makes you a partner in this mission to transform India. Come, join me; let's take this mission forward," Aditya adds in his greeting card. Interestingly, the greeting cards are written in Marathi and English too, though the MNS has held an aggressively pro-Marathi agenda based on its 'sons of the soil' ideology. "It is our attempt to create awareness among first time voters about voting and elections. So, they will have a chance to contribute in transforming India. If I am elected, I will have a special bond with first time voters forever," said Aditya, who is also using social media for campaigning, adding that he is confident of winning. Aditya is contesting the Lok Sabha elections against sitting Congress two-time MP Eknath Gaikwad, aged 74, and Shiv Sena candidate Rahul Shewale, 42. The constituency is dominated by Dalits.